Complementary feed based on plant extracts: Eugenia caryophyllus (cloves) and Cymbopogon nardus (lemongrass). These compounds give to the feed repellent properties against some arthropods (Dermanyssus gallinae, flies, and others). 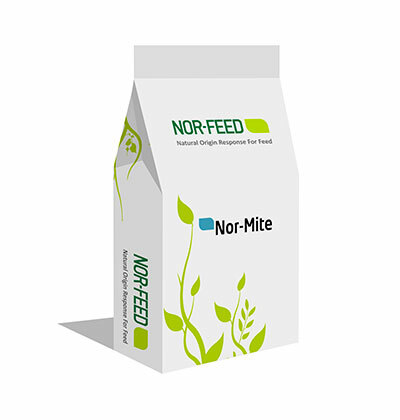 Nor-Mite is added to the feed, its active compounds are excreted by the animal and produce a repellent effect that keeps the pests away from their host.